The correct lighting in a home can dramatically change its look and feel, so it is important that you understand what types of lighting will look best in various areas of the home. There are three different types of lighting available for domestic use – accent lighting, task lighting, and general lighting. To ensure that you get the desired effect, it is usually necessary to include a mix of all three. The best interior lighting design schemes will include lighting at a variety of levels. 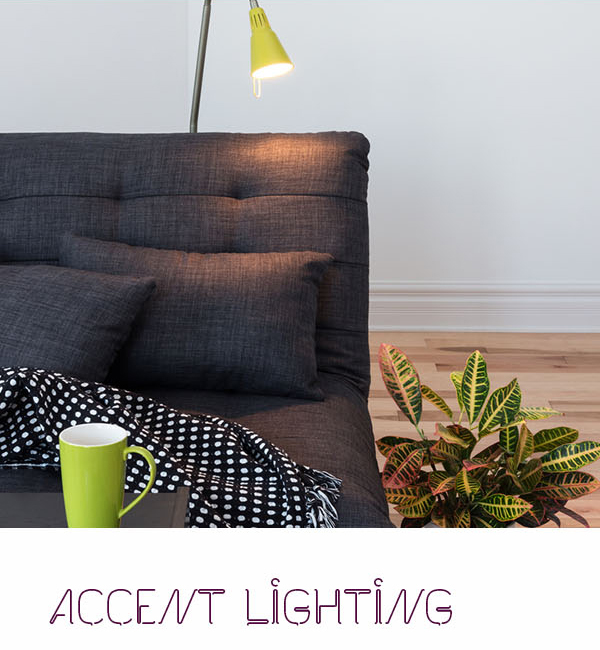 Accent lighting is generally used to highlight specific objects or areas in a room, such as paintings (you could use picture lights for the desired effect), architectural features, or sculptures. Accent lighting is also commonly used as a way to illuminate a walkway. When choosing accent lighting for walkways, subtle lighting should be used. However, bright lighting is preferable for highlighting specific items. Examples of accent lighting are wall-mounted, recessed, and track lighting. Track lighting is used for walkways and is flexible in that these can be placed as required along the walkway. Wall-mounted lighting is, as the name implies, attached to the wall; the wall lights are directed at the particular object to be highlighted. Recessed lighting tends to blend into the surroundings, and these types of light may be installed under a cabinet, in the ceiling, or within a bookshelf. Task lighting is used to illuminate a specific small area where bright light is required. 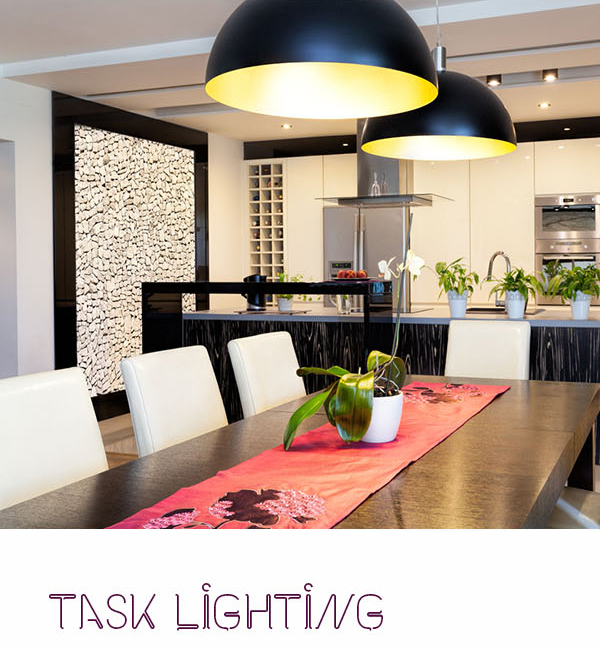 The aim of task lighting is to make it easier to complete specific tasks. Task lighting is commonly found in kitchens to illuminate work surfaces. However, in many homes, task lighting is used in other rooms including living and dining rooms to highlight reading or eating areas. In kitchens, task lighting is typically installed under kitchen cabinets and over cooking or preparation areas. The lighting is quite bright to enable the person to clearly see what they are doing. General lighting, also known as ambient lighting, is used for the general illumination of a room. This will usually be the main ceiling light or specific floor or table lamps. The aim of general lighting is to give off as much light as possible within the room. 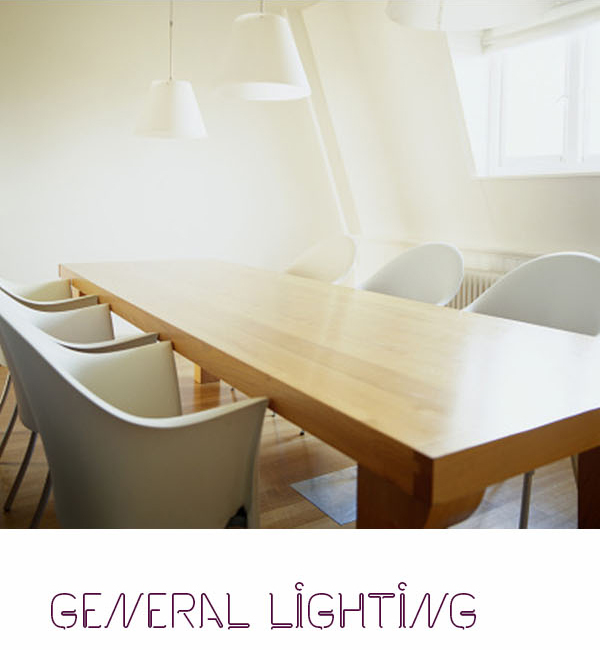 General lighting comprises down- and up-lighting. Down-lights include ceiling fittings or wall fittings that cast light in a downwards direction. Up-lights include wall sconces and table lamps that cast light upwards. Every room should include a mixture of general, task, and accent lighting. 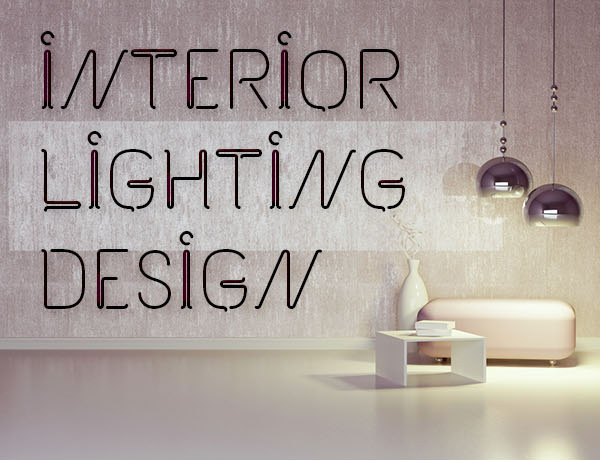 If you are thinking of redecorating your current home or are about to buy a new one, the lighting scheme is something worth paying a bit of attention to. 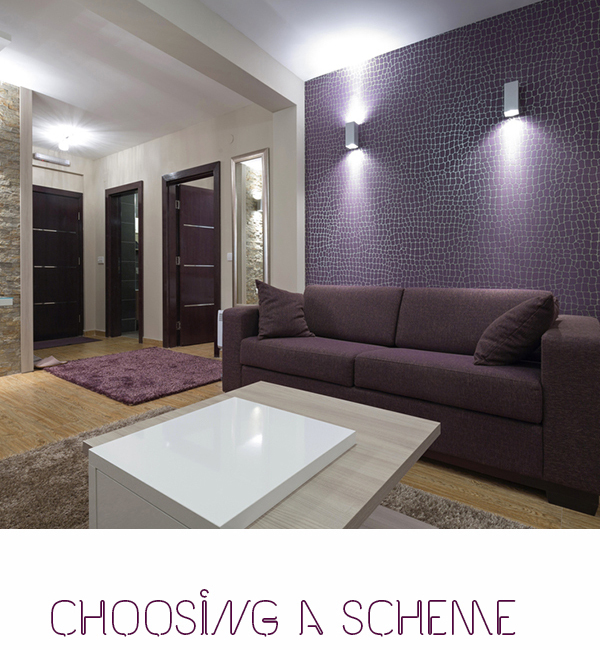 Think about your furniture plan and choose the appropriate lighting depending on the features you want to highlight. Specific rooms will typically require more ambient light (such as the living room or dining room) whereas the kitchen and bathroom lights usually need to be brighter. Many people find it useful to install dimmer switches so that they can choose the level of brightness in the room, depending on certain situations. Whatever scheme you choose, it is important to do your research beforehand to ensure that you achieve the look and feel you desire.